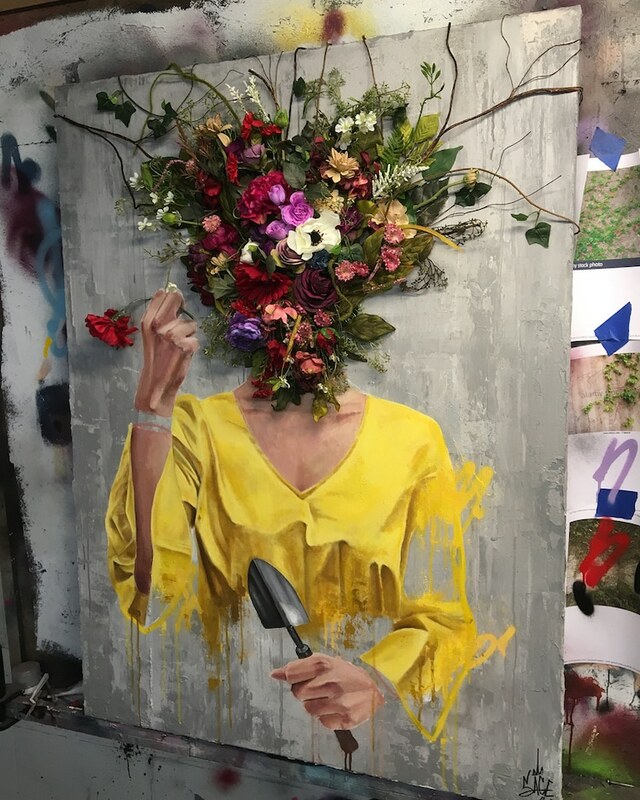 Colorful Street Art Paintings Replace Heads With 3D Flower Bouquets #ArtTuesday « Adafruit Industries – Makers, hackers, artists, designers and engineers! Self-taught artist Sage Barnes, known simply as Sage, reimagines painted people in his ongoing series of surreal portraits. 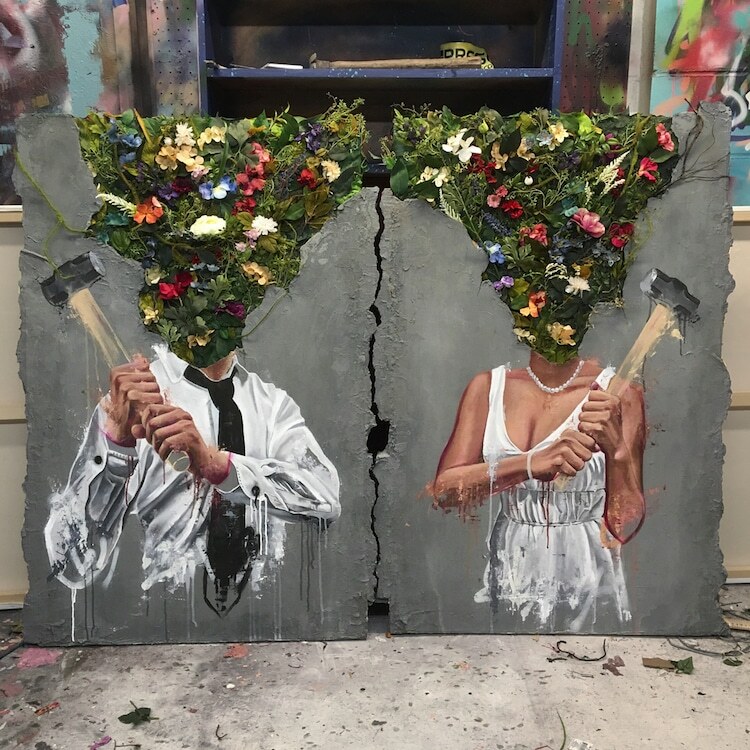 Replacing his subjects’ heads with bountiful bouquets and clashing rainbow hues, the men (many of whom are self-portraits) and women confidently balance the weight of these inanimate objects and colorful clouds. 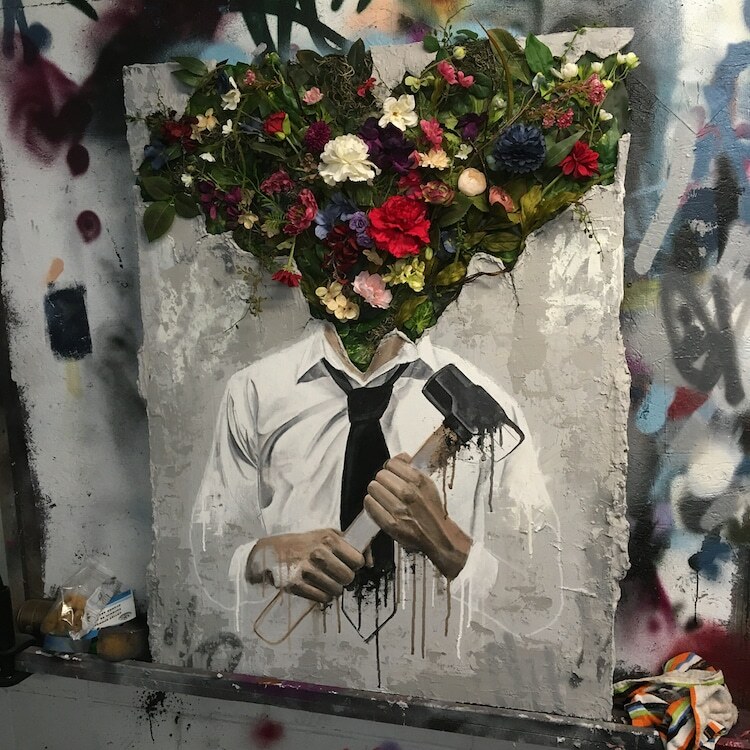 Sage’s most stunning pieces juxtapose faux flowers with painted bodies done in a dripping street art (or graffiti) style. The blooms emerge from bits of broken concrete and extend across walls to create a dazzling combination of color and texture. This variation strikes the conceptual heart of Sage’s work. 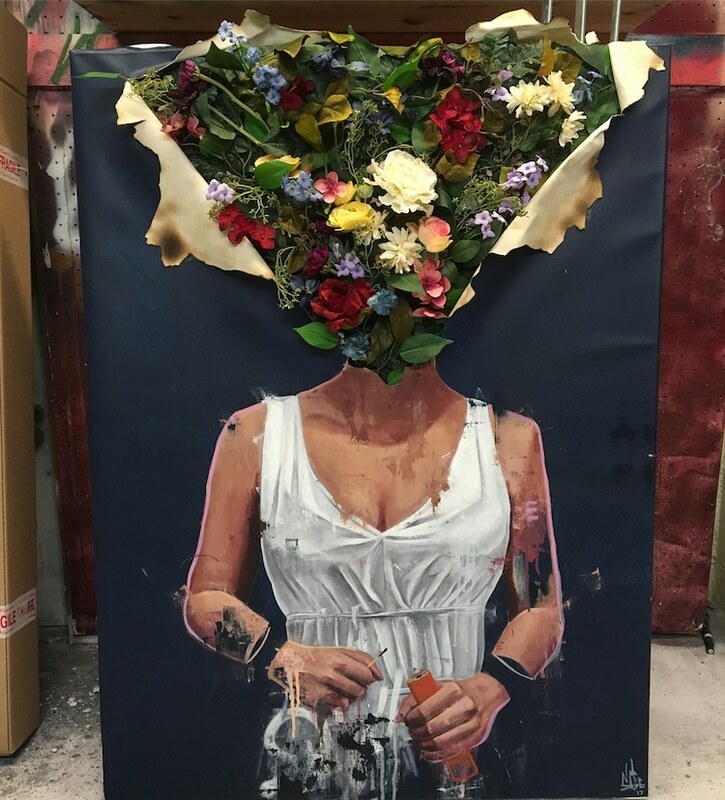 “[His] main focus is using contrast and representational art to directly draw out the emotions and experiences of the viewer,” he says on his website. The artist not only achieves this but, at times, the feelings of both ecstasy and despair in his paintings are palpable.